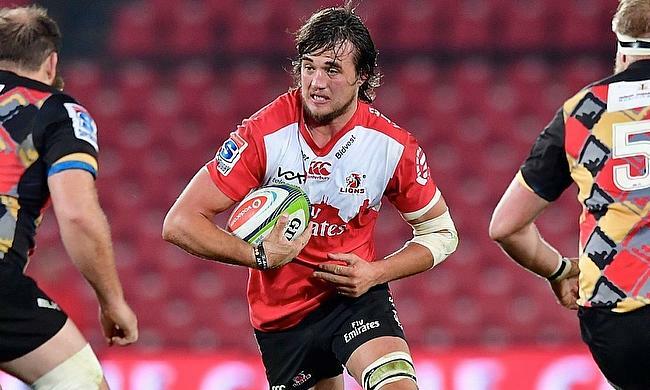 Gloucester Rugby have confirmed the signing of Springboks lock Franco Mostert ahead of the 2018/19 season of Gallagher Premiership. His professional rugby debut came with Currie Cup side Blue Bulls in 2010 and joined Golden Lions in 2013. A serious car accident prevented him from making his debut season count with Golden Lions but he eventually made his debut in the Super Rugby in 2014 and has been part of the Johannesburg side since then. Mostert also featured for Japanese Top League side Ricoh Black Rams before he returned back to the Lions. "I’m excited about this move, because it’s a new chapter in our lives. I’m excited to learn about the English league, and also the values of my new team, and the things I’ve heard from other players are very positive. I hope to bring a new energy to the team," he said. "I am beyond excited to link up with Coach Akkies [Johan Ackermann] again, we have come a long way together, it wasn’t always the easy way but that is why I have so much respect for him as a coach, and as a role model. He has had a big influence on my life in more ways than one. "I am always excited and ready for new adventures, and it is nice to have a new challenge and I like a challenge, as it pushes me to be the best and keeps me driven." The 27-year-old has made 18 appearances for South Africa since his debut in June 2016. Director of Rugby David Humphreys is delighted with the addition of Mostert to the squad and believes his leadership skill will add further flexibility to the squad. “Franco has proved to be one of the stars of Super Rugby, and we are delighted that he will be playing in Cherry and White next season. “We know the Gloucester fans love their physical, hard-working forwards, and Franco is exactly that. He has so many quality attributes, and this is a big sign of our intent as a squad to push to the next level. “Obviously Franco is a player that Johan is very familiar with, and Franco will know what Johan expects from his players, and he is the type of character that will fit in well to our squad. “He is a current international, and has been captaining the Lions throughout the Super Rugby season, so he displays leadership skills that will again benefit our squad.